Scouting needs families to read engaging stories or see action pictures and videos about all of the great things Scouts and Scout units are doing, whether it’s something fun or something that’s helping the community. The media does like positive stories, but because many TV, radio and newspaper newsrooms are short- staffed, they tend to grab the most available news and events to fill time or space. If we can provide easily accessible, positive stories – the press should grab them. Our Scouts deserve public recognition for the good deeds they do. We especially want to receive GREAT Scouting stories for consideration to publish within our council website, Unified Focus on Youth E-News, and social media channels. Thank you for your support of Scouting and enhanced Scouting communications. • No matter what form it takes – newspaper, television, radio, magazine – the media is a business. Without ad sales and subscribers, online news portals, television news departments and print journalism outlets couldn’t survive . • Folks who work in the media are always working against the clock so make things as easy as possible for these folks when you submit a story – that story is much more likely to get online, into the paper or on the newscast . If it’s old, it’s generally not “news” – no matter how good the story. Sometimes you can get away with a story that’s “old”, but it had better be pretty amazing stuff… I’m talking “Young Scout pulling his sister from a burning house” amazing. Even then, that might not be enough – it all depends on what the paper has already lined up for the current issue, or whether you have amazing pictures you can give TV . 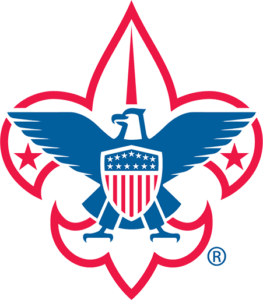 If you’re pitching a story to the North Central News about a Scout that has earned every merit badge – make sure you’re very clear that the Scout is a member of Troop 11, sponsored by the North Central Methodist Church. A Cub Scout that wins his pack’s Pinewood Derby is certainly worthy of recognition… but that recognition might only come in the form of a picture and caption, not a full-fledged five paragraph article . A Cub Scout that wins his pack’s Pinewood Derby with the car that his now-deployed Army Captain father helped him build – now that’s different. This would be because there is a report about something bad that is happening or has happened to a Scout or Scouting in general . First: If this story involves your family, you have every right to dictate what information you do or do not want to release to the press . The Alamo Area Council will respect your wishes . However, we need you to contact the Scout Executive or Council PR Director right away to let us know you have been contacted by the media . ➢ Please remember: “No Comment” is, in fact, a comment . It tells a reporter you (or we) have something to hide . It’s OK to instead say, “I can’t talk with you right now, but give me your name and number and I will have someone call you right back” . Also please remember: Parents and/or Scout volunteer leaders are not expected to deal with the media during moments of crisis . Please contact the Scout Executive so that we may provide you the support you deserve . News operations in “breaking news” mode will look for any bit of information to give to reporters or anchors, and will be persistent in asking if anyone on the scene can talk to them . ➢ Again, your response can be: “I can’t talk with you right now, but give me your name and number and I will have someone call you right back” . Do not share information about the crisis with others – even other Scout leaders – if they’re not directly involved in the crisis .➢ You should tell a parent at the scene if their child is hurt, but do it after you have them on property and away from a crowd . ➢ A reporter on the scene will look to anyone to give them an interview, including other adults, leaders, and the clerk at the convenience store across the road from camp. If you give information to anyone other than those directly involved in the crisis, you will hear it or read it somewhere later. Hope this helps! Please remember our primary purpose is service to our Scouting youth! outstanding efforts in documented positive public relations within the local, regional, national, or global media. Awards will be presented at the Council-wide Roundtable usually held every August. A Unit’s PR portfolio is basically a collection of the positive stories the unit has been successful in placing within various media outlets either locally, regionally, or nationally. It should document the WHO, WHY, WHAT, WHERE, WHEN, and HOW of every story. Placements may include community newspapers and church/neighborhood newsletters to recognized and well visited online blogs, social media or new media outlets if defined within a Unit’s PR portfolio and strategy. Unit Stories covered by the Alamo Area Council do not count as a media placement towards the marketing awards; however, units are highly encouraged to share their stories with Council. The Council is looking to support our content syndication program involving both Scouts and professionals as content creators. This means WE WANT YOUR SCOUT STORIES to publish within our local website and newsletters. Enews@AlamoAreaBSA.org. To have our marketing team consider covering your unique story at your Scouting event, send your news release to PR@AlamoAreaBSA.org. original news link found online or the cut out paper clippings, and DVD or USB flash drives, if applicable. media coverage description on 1 page (150-700 words). Page description must include name of Scouts or Scouters in media coverage. parent permission/talent release forms for media coverage, if applicable. Units are encouraged to appoint a Unit Public Relations Coordinator (UPRC) to help with this project. With the support of the Alamo Area Council PR/Marketing Department, UPRC’s may issue unit press releases, editorials, and form contacts with local media. Copies of all press releases and editorials should be sent for approval prior to publication. Submit to the Alamo Area Council PR Office at PR@AlamoAreaBSA.org. 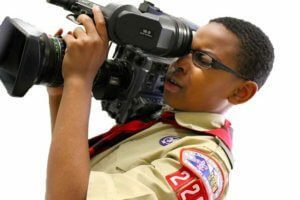 OR contact Marketing / Communications Director, Angel Martinez at Angel.Martinez@Scouting.org. All approved entries may be submitted for consideration to the National Marketing Awards by the Alamo Area Council BSA. A good Unit PR portfolio should contain a variety of work to demonstrate writing, strategic thinking, and communication skills; therefore, include a variety from press releases, to web copy, social media campaigns, blogs and so on. Each piece in your portfolio should have a brief summary (media coverage description) with key information such as objective, audience and results. Use actual clippings and digital screen grabs as much as possible. For example, if you are showing a newspaper story, a clipping of the printed publication is best – original pieces help give context to how the piece was actually used. If you’re keen to showcase your strategic capabilities, include a PR plan you’ve developed, along with the Unit’s PR objectives. My working definition – A brand is a multi-faceted symbol that is the summation of values consisting of tangible elements like a colored graphic, words, or musical jingle AND intangible content like stories, relationships, remembered history, and expectations. All these value items represent an entity’s products and/or services that offers a consumer a packaged choice to support this brand/entity versus an alternative. The term “Good turn” comes from the slogan of the Boy Scouts of America -“Do a Good Turn Daily”- which means to do a special act of kindness, big or small. Unified Focus On Youth – is the Alamo Area Council’s Theme or tagline that reminds us as a Scouting community to keep the main thing, our kids, the main thing. Council BSA Brand (our main Council brand is a sub-brand of the Corporate brand that should be used on all communications, except for email signature that uses the BSA Theme). BSA Corporate Identity– activity graphic depicts Scouting adventures. We must value our brand as a Scouting community! Our brand should be on all our flyers and communications. 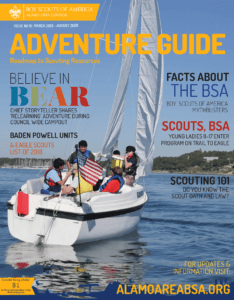 For more information on brand and other Boy Scouts of America marketing resources, visit The Marketing Toolbox, including our BSA Brand Identity Guide that provides the proper use of our brand. All Display advertising and contact with any media must go through approval from the Public Relations Office. P.S. Yes, the ‘Boy Scout’ program name is changing to ‘Scouts, BSA’ come February 1, 2019, BUT we are STILL the Boy Scouts of America. Our corporate BSA brand and signature stays the same. Angel Martinez, Communications / Director of Scouting Relations and Communications, Alamo Area Council, Boy Scouts of America.